The stage of a cancer describes how big the cancer is and how far it has spread. Many books and websites tell patients to find out their stage. But patients aren't often told why stage is so important. So when those patients ask their doctor about their stage, we give an answer, and then the patient invariably moves on to the next question. Rarely is there a discussion of how the stage is determined and how the stage influences treatment. Once doctors have determined what type of cancer they are dealing with, the stage of that cancer is usually the most important factor determining what the right treatment would be. Why is stage so important? The stage dictates the treatment options. If the stage is incorrect, it could lead patients down the wrong treatment path. A treatment that is good for patients with stage 1 lung cancer is usually not a good idea for patients with stage 4 lung cancer, and vice-versa. The same rule applies for most cancers. How do doctors determine the stage? Basically, doctors determine the stage by looking for cancer in different parts of the body. We look for the cancer by doing a physical exam on our patients and by ordering imaging scans. These usually include CT scans, MRI scans, and/or PET scans. Different cancers tend to travel to different parts of the body, so the staging approach depends on the type of cancer. Accurate staging depends on having the correct testing done. For a patient with lung cancer, in addition to a CT scans of the chest, a PET scan is usually required, along with dedicated imaging of the brain. In contrast, for a man with low-risk prostate cancer detected because of a small increase in their PSA blood test, bone scans and CT scans are not recommended. In this situation, the chances of finding any cancer on those scans is very low. Doing unnecessary scans can lead to delays and harmful interventions for false-positive results. As a patient, you should double-check to make sure that the staging tests that are recommended for your type of cancer are actually done,. You can get a list of recommended staging tests through the external resources page by looking under your individual type of cancer. How is a stage assigned? The size of the primary tumor (the original source of the cancer) and whether it has invaded any surrounding normal organs. This is called the tumor stage, or T-stage. The number and/or size of lymph nodes involved with cancer. This is called the nodal stage, or N-stage. Whether or not the cancer has spread to other organs in the body. This is called the metastasis stage, or M-stage. We call this the T-N-M staging system. By combining the T-stage, N-stage and M-stage, doctors assign an overall stage group (usually ranging from 1 to 4). For most types of cancer, a small tumor with no spread is usually called stage 1, and a cancer that has spread throughout the body is usually called stage 4. Stages 2 and 3 are situations in between, where the tumor itself has grown larger than in stage 1, or it has spread to an increasing number of lymph nodes. The staging approach is different for each type of cancer, but that information will be readily available to you using the recommended external resources. 1. Have all the necessary tests been done to determine the stage of my cancer? Compare the tests you've had with those that are recommended by the guidelines. Are there any missing? Are there any extra? Sometimes there are good reasons to do more or fewer tests than recommended in those guidelines, but ask your doctor about it. 2. What is my stage - can you tell me in terms of T- N- and M- status, and my overall stage group? Write these values down, as they will help you to navigate many of the websites and understand your situation. 3. What does my stage tell us about treatment options and prognosis? For some stages of cancer, there might be several options available. For prostate cancer, that could include surgery, external radiation, internal radiation, or close monitoring. If you want to know your prognosis, ask your doctor about it. Read more about asking your doctor about prognosis. 4. Are there any findings on my staging tests that are uncertain? Do these require further follow-up, additional tests, or a biopsy? Sometimes staging tests give results that aren't completely clear. 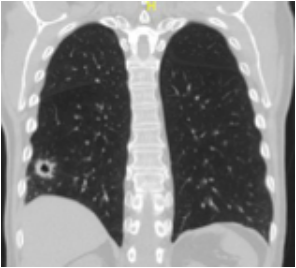 For example, doing a CT scan of the chest can sometimes reveal small nodules (little lumps) in the lungs. When they are small, it can be difficult to know what they are. They may be cancer, but often they are not. Sometimes they need a biopsy to determine what they are, and other times just a repeat scan is needed in a few months. If more testing is needed now, or later, it's important that it doesn't get forgotten.